Very professional , and very kind doctor ! Good, professional and courteous service. Really 'enjoyed' the experience although I've never enjoyed visiting the dentist!! Dr. Arria is a great dentist, great bedside manner, always on time and so easy to get an appointment that fits conveniently in your schedule. His staff is wonderful as well love the ladies there! Always friendly and helpful! Dr. Adam Arria was very professional and provided a great experience to me and my family members. They are very warm and kind. We would totally recommend to friends and family. Thanks!! My daughter is 12 years old and loves Dr. Arria and his staff. Very unusual for a 12 year old to love going to the dentist. Would highly recommend. Quite simply the best experience I have ever had for dental work. And I hate dental work due to some previous past experiences at a different practice. The office is a model of efficiency, courtesy, and professionalism. Dr Arria and his wonderful staff really take the bite out of a visit to the dentist! Doctor and all office was great! Highly recomment! 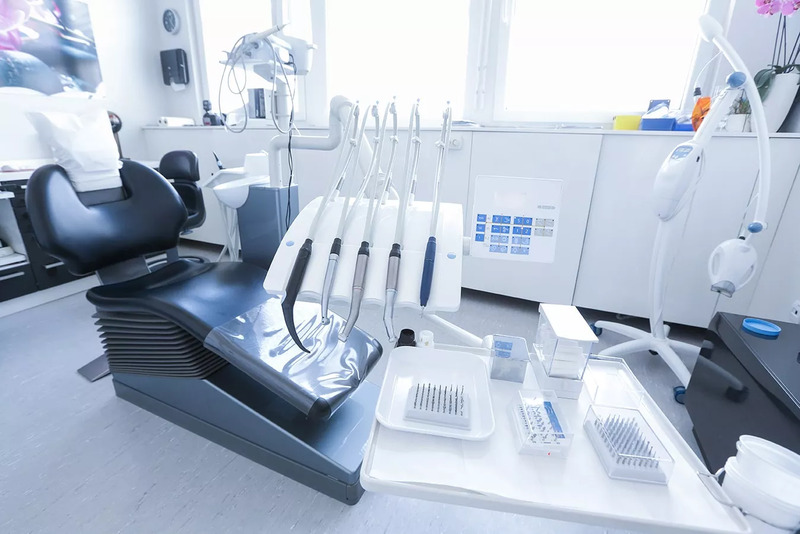 Dr. Arria and his staff are always friendly, attentive, nonjudgmental and seem to really care about your oral and general health, since one affects the other. I would highly recommend a visit to Gentle Family Dentistry, they have done right by me and I am sure will do the same for you. Had a procedure today and made an appointment for a general cleaning next week. Best dentist I've been to! Great staff, very friendly, gentle, and understanding. Definitely recommend going here! They are even open late on Fridays and open on Saturdays! Dr Arria is the first dentist I've been to in 10 years or more. I had my first appointment a few weeks ago, a cleaning which was remarkably pleasant! The following week I came back for cavity fillings. Dr Arria continually asked for assurance of a ZERO pain level on my end. This week I went back for an extraction. I had two wisdom teeth pulled. I was nervous for the procedure so I didn't eat before going in. Dr Arria and his staff graciously offered to delay the procedure so I could go eat first, because I wouldn't be able to for hours after. The procedure was FAST and LITERALLY pain free. I was in and out in an hour and on with my day! The have Saturday appts and are available for emergencies. Dr Arria and his staff are immensely attentive and I wouldn't consider seeing another dentist! Had my first crown yesterday with Dr. Arria. Very efficient, and I have absolutely no pain after numbness wore off. Good people there who treat my children well. Love this office! Efficient, very kind. DR. ARRIA AND HIS STAFF ARE WUNDERFUL!! THEY ARE FUNNY AND VERY KIND AND PROFESSIONAL!! TELL THE WORLD ABOUT DR. ARRIA AND HIS TEAM OF DENTAL EXPERTS!! KEEP UP THE GOOD WORK!! KATHY AND DAVID W.
My appointment went very well. I was nervous about the work I had to have done but Dr. Arris made me feel at ease. Very painless. Dr Arria saw my daughter for her very first dental appointment. The dental assistant was very kind and excellent with my little girl. Dr Arria was fantastic. They did a quick procedure in office and her teeth were cleaned. It could not have gone better! I am looking forward to going back to see them and will be recommending him to all my friends. Dr.& staff were very friendly. I had a tooth pulled & it was pretty painless. Excellent service .everything was fine. The people who works there are very friendly. No pain at all .I will recommend my dentist to all my friends. Dr. Arria and his staff were very helpful and knowledgable. Dr. Arria patiently answered all of my questions, and his staff made me feel welcomed from the very minute I walked into the office. I highly recommend Dr. Arria to anyone seeking a dentist because he and his staff seem very dedicated to providing patients with the best dental care possible. I love Gentle Family Dentistry and Dr. Arria. The dental office is bright, modern and clean with the latest technology. The staff are always pleasant and super friendly. Dr. Adam Arria is very personable, gentle and understanding. I highly recommend them. I had an amazing experience at Gentle Family Dentistry. I was extremely nervous about my dental procedure (fillings, and root canal) with Dr. Arria, and when I came out their clinic, I was relaxed and happy. Dr. Arria and his staff are very kind, professional, and courteous. They make you feel comfortable, relaxed and at anytime if you want the Dr. to stop you just raise your hand and he will give you enough time. They don't rush you as my old dentist did and aside from that, Dr. Arria is very gentle. I will recommend him to my friends and family. I'm not a big fan of going to the dentist, but I have to say Dr. Arria and his staff were wonderful. They made sure I was comfortable the whole time with everything going on and didn't make me feel self conscious about being a bit of a wimp. Dr. Aria explained everything in detail and worked with me on a proper course of action for future visits. I also didn't feel any pressure to do certain things (fix old fillings) like I have with other dentists. Everybody was very friendly and professional and I will absolutely use him again. I felt comfortable and had things explained thoroughly . Very professional and nice. All around good experience. I had an amazing experience at Gentle Family Dentistry. I was extremely nervous about my dental procedure (fillings, and root canal) with Dr. Arria, and when I came out their clinic, I was relaxed and happy. Dr. Arria and his staff are very kind, professional, and courteous. They make you feel comfortable, relaxed and at anytime if you want the Dr. to stop you just raise your hand and he will give you enough time. They don't rush you as my old dentist did and aside from that, Dr. Arria is very gentle. I will recommend him to my friends and family. I had an amazing experience at Gentle Family Dentistry. I was extremely nervous about my dental procedure (fillings, and root canal) with Dr. Arria, and when I came out their clinic, I was relaxed and happy. Dr. Arria and his staff are very kind, professional, and courteous. They make you feel comfortable, relaxed and at anytime if you want the Dr. to stop you just raise your hand and he will give you enough time. They don't rush you as my old dentist did and aside from that, Dr. Arria is very gentle. I will recommend him to my friends and family. Dr. Arria is an outstanding dentist. Has a gentle touch but gets the job done quick and pain free. One of the best doctors I have ever visited, definitely an excellent dentist. Dr Arria is the first dentist I've been to in 10 years or more. I had my first appointment a few weeks ago, a cleaning which was remarkably pleasant! The following week I came back for cavity fillings. Dr Arria continually asked for assurance of a ZERO pain level on my end. This week I went back for an extraction. I had two wisdom teeth pulled. I was nervous for the procedure so I didn't eat before going in. Dr Arria and his staff graciously offered to delay the procedure so I could go eat first, because I wouldn't be able to for hours after. The procedure was FAST and LITERALLY pain free. I was in and out in an hour and on with my day! The have Saturday appts and are available for emergencies. Dr Arria and his staff are immensely attentive and I wouldn't consider seeing another dentist! Dr Arria is the first dentist I've been to in 10 years or more. I had my first appointment a few weeks ago, a cleaning which was remarkably pleasant! The following week I came back for cavity fillings. Dr Arria continually asked for assurance of a ZERO pain level on my end. This week I went back for an extraction. I had two wisdom teeth pulled. I was nervous for the procedure so I didn't eat before going in. Dr Arria and his staff graciously offered to delay the procedure so I could go eat first, because I wouldn't be able to for hours after. The procedure was FAST and LITERALLY pain free. I was in and out in an hour and on with my day! The have Saturday appts and are available for emergencies. Dr Arria and his staff are immensely attentive and I wouldn't consider seeing another dentist! Dr. Arria is the best Dentist I have seen so far. First I was pretty scared of getting a root canal treatment but the Doctor did a great Job. Also the staff was very kind and qualified. Thank you for the first class treatment GFD! Great experience every time I visit the office for my dental work!! Doctor is gentle and caring and staff is always upbeat. I would definitely recommend to anyone!!! Have been coming here for a while, as well as my family. I always have such personal care. I have not seen a dental office care so much about my time, and be so helpful in scheduling appointments for myself. I had a cavity filled and could not believe how eaily and painlessly it was taken care of. I absolutely love this dentist office and will not go anywhere else. I highly reccomend this office to everyone!! I've always been extremely nervous when going to see the dentist but all that changed after meeting Dr. Arria for the first time. He was great at explaining everything to me and my treatment was fast and pain free!!! I would recommend Gentle Family Dentistry of Leesburg to anyone looking for an honest, clean, and reliable clinic. I have only had 2 appointments here and they already treat me like family. The ladies are wonderful and the dentist it great. They do what ever is needed to make you feel at home. Everything was explained to me before the needed work was done and they made sure I was comfortable the entire time.I highly recommend this place!